I am a biologist by degree, a remote senser by profession, and an ecologist by passion. Finding patterns, unraveling mechanisms and discovering connections is what I like most. I am as comfortable in the field as in front of the computer, but tend to spend most of my time on the latter. By focusing on remote sensing and modeling, the computer becomes my lab bench. 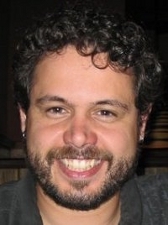 I am an Assistant Professor at the Geography Department of the São Paulo State University (UNESP), Rio Claro campus, in São Paulo, Brazil. 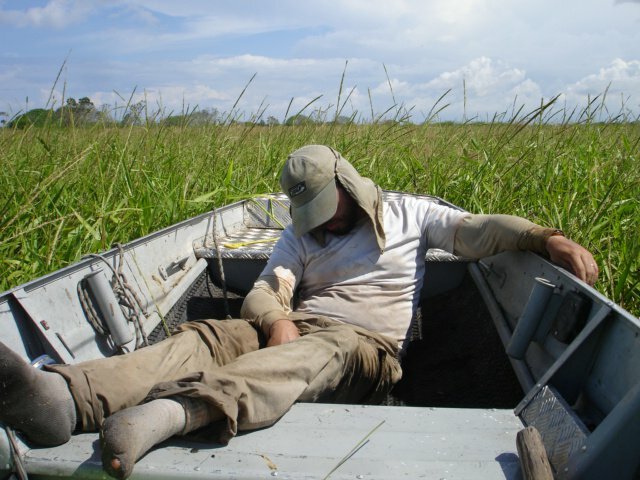 My current research interests lie on finding ways to apply remote sensing, geomatics and modeling to better understand ecological and biogeochemical processes in tropical wetlands, especially concerning the interplay between plant communities and climate change. I tend to favor the big picture (ecosystem/landscape processes); once you start to look at things from above, it gets really hard to just look a things at the local level. But I am still fascinated by how processes can scale from the individual to the higher levels, and determine patterns on a much larger scale. In the past, I have also done research in macroalgae ecology, and in plant ecology and ecological physiology in Brazilian Semi-Arid environments. I find ecosystems shaped by a particular forcing (flooding, drought, tides, etc.) to be particularly interesting. The potential of evolutionary adaptation really shines in these places, and I am constantly amazed by how complex and far-reaching interactions can arise from exerting a simple main forcing. I also like to take pretty pictures, which you can see here. Research Keywords: Amazon, floodplain, wetlands, macrophytes, aquatic vegetation, productivity, carbon, methane, radar, optical, remote sensing, mapping, modeling, climate change. (Use of EOS-MODIS and Landsat TM 5 images for the study of macrophyte community dynamics at the Amazon wetlands). (“A study of vegetation cover dynamics in the Brazilian Semi-Arid through the use of NOAA=AVHRR satellite images”). (2006) Outstanding Student Poster Award, American Society of Limnology and Oceanography – 2006 Summer Meeting. (2005) Derrick Sewell Scholarship Award – University of Victoria. (2003-2004) Master Student Fellowship – INPE / CAPES. (2000) Best Undergraduate Student Research Reports in Biosciences and Health – CNPq Undergraduate Student Research Fellowship Program – XI UFRN Undergraduate Student Research Conference. (1999-2001) Undergraduate Student Research Fellowship – UFRN / CNPq.